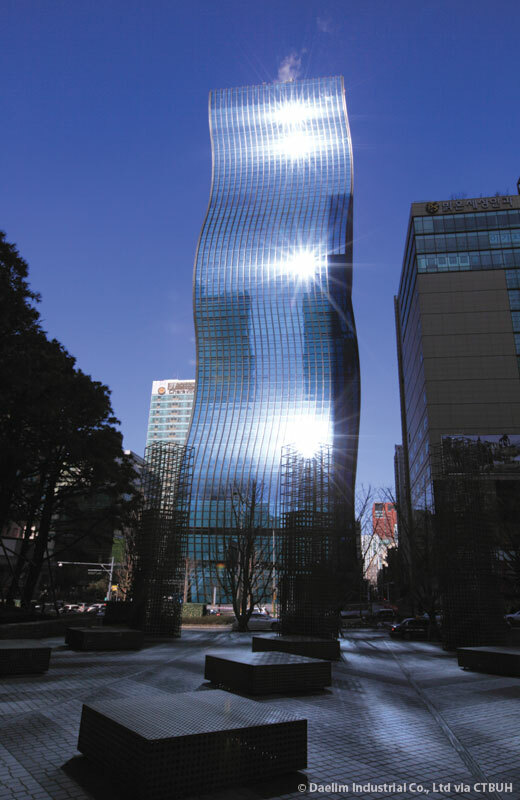 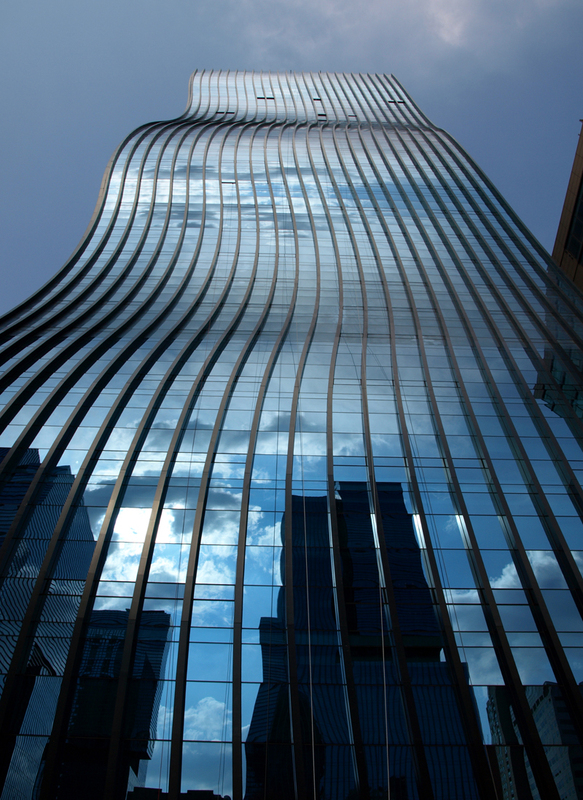 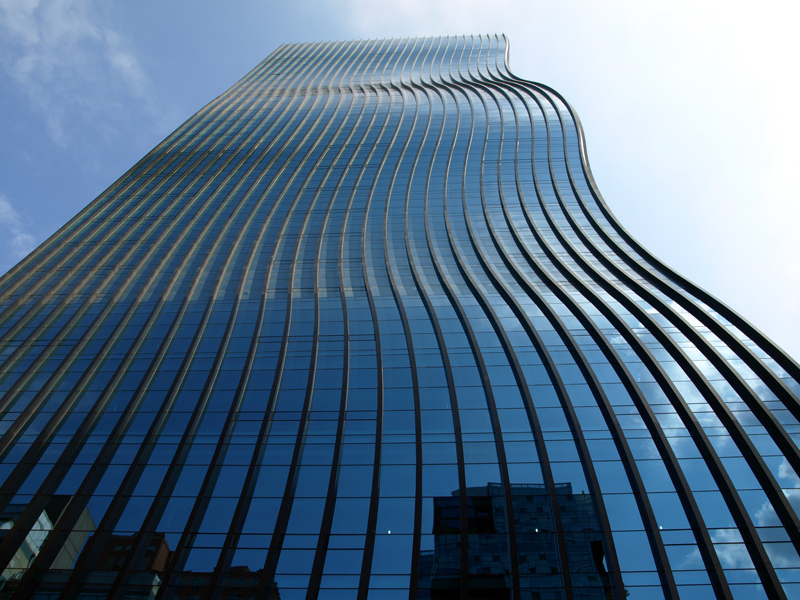 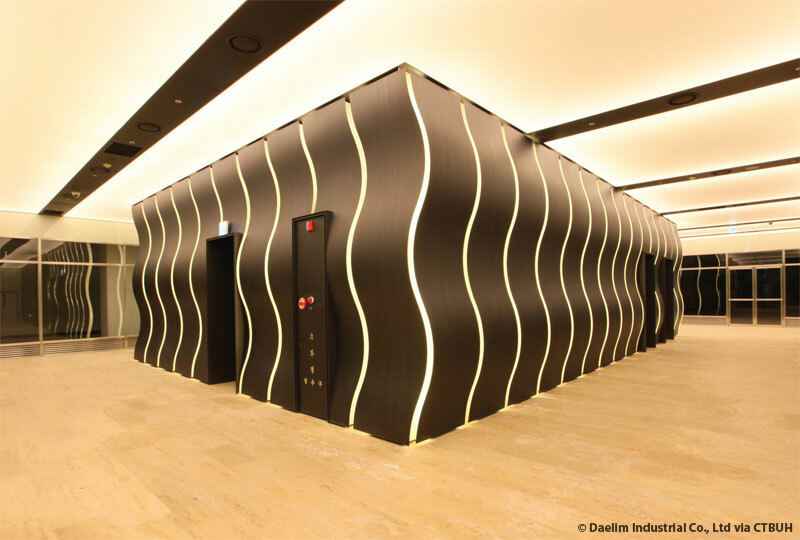 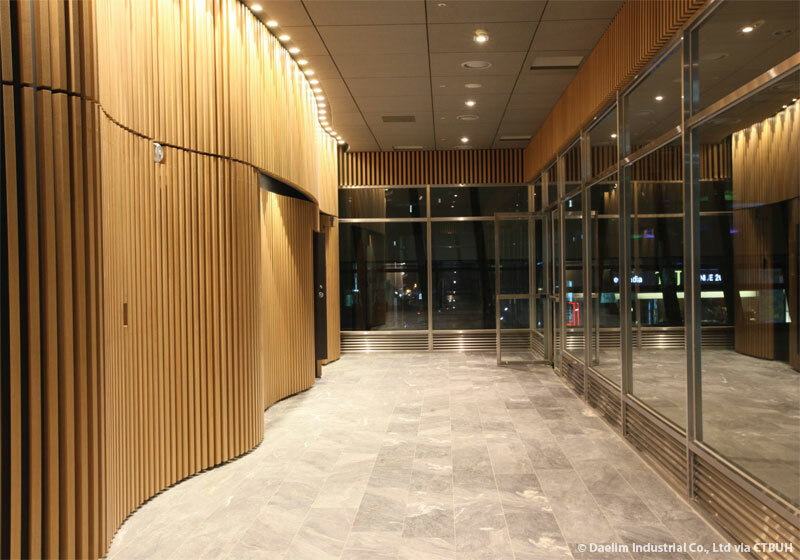 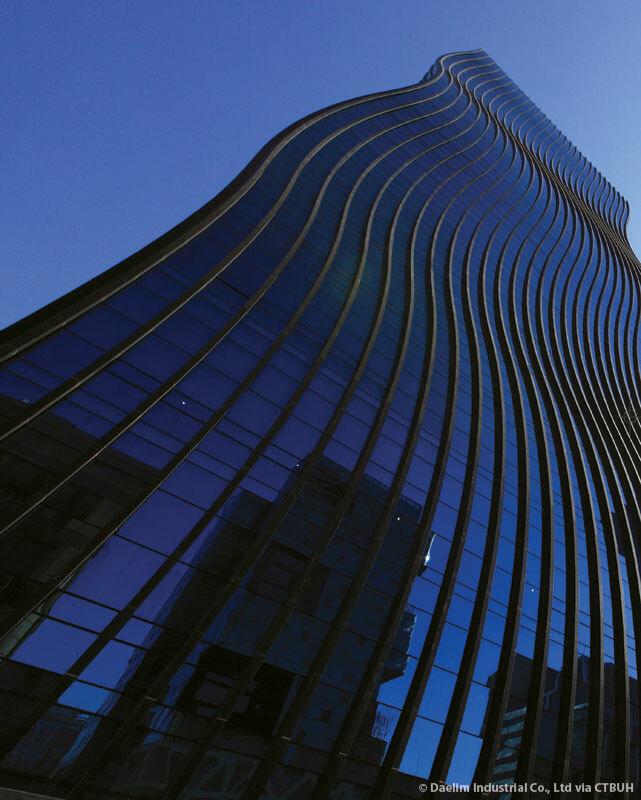 Inspired by the shapes found in traditional Korean pottery, the GT Tower’s contours create a wave-like façade. 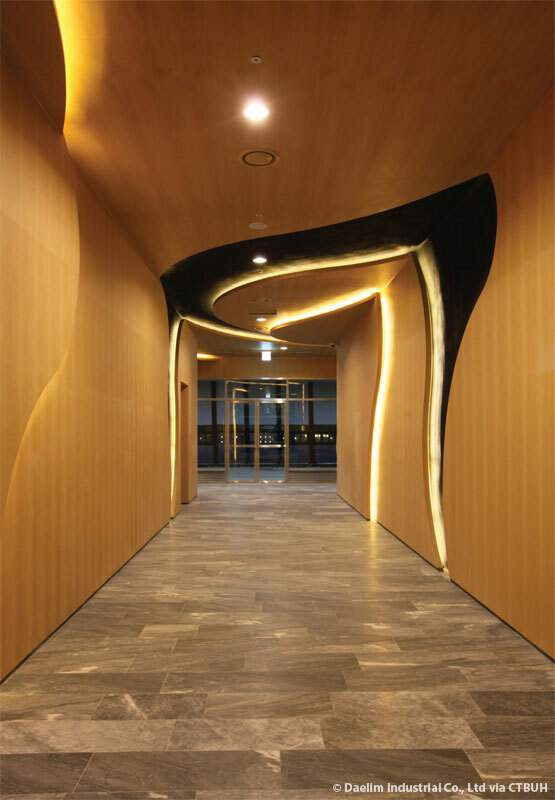 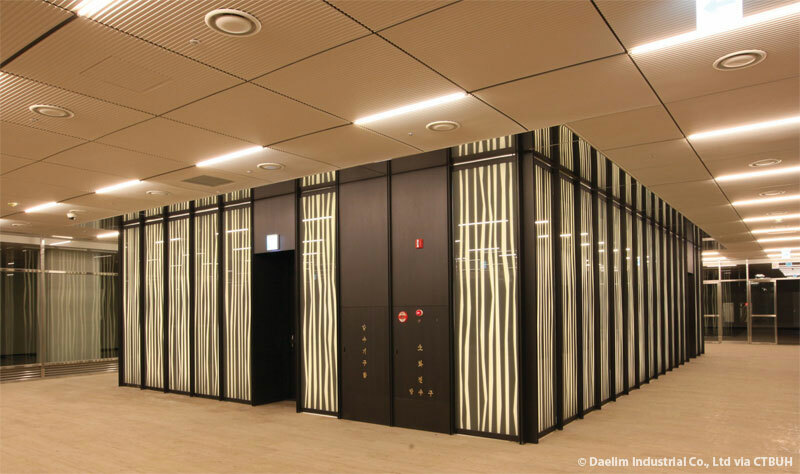 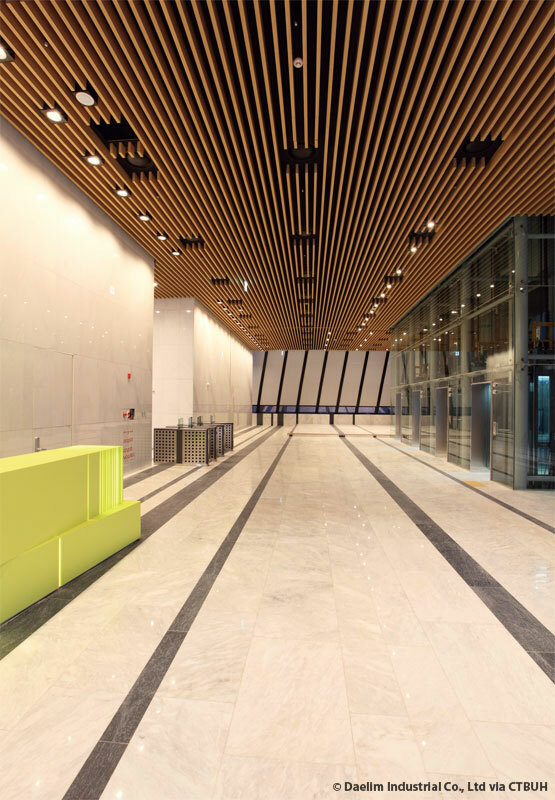 The building gives variation to the traditional Korean office building, creating a stark contrast with the business-like orthogonal character of its neighbors. 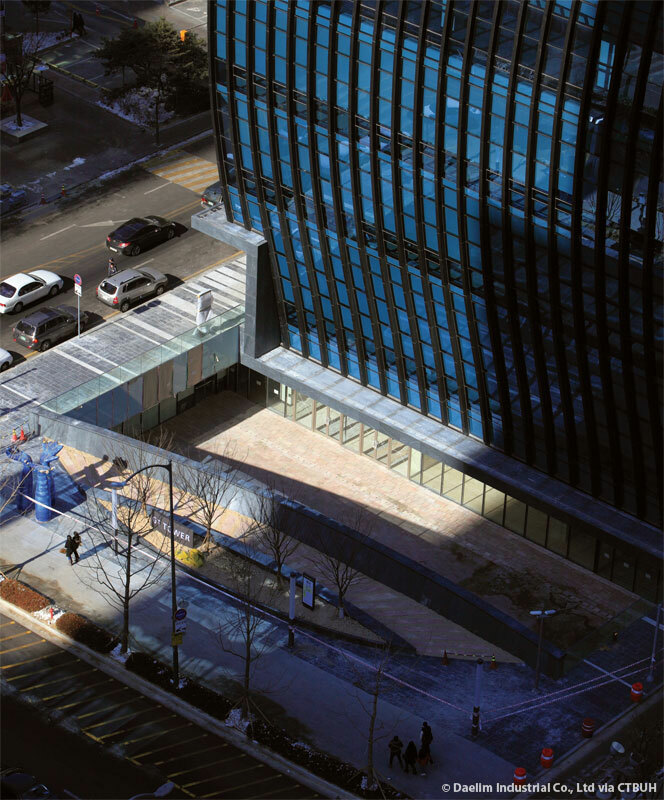 The slanted glass façades add a dynamic quality to the tower, while the light reflects with the movement of the viewer. 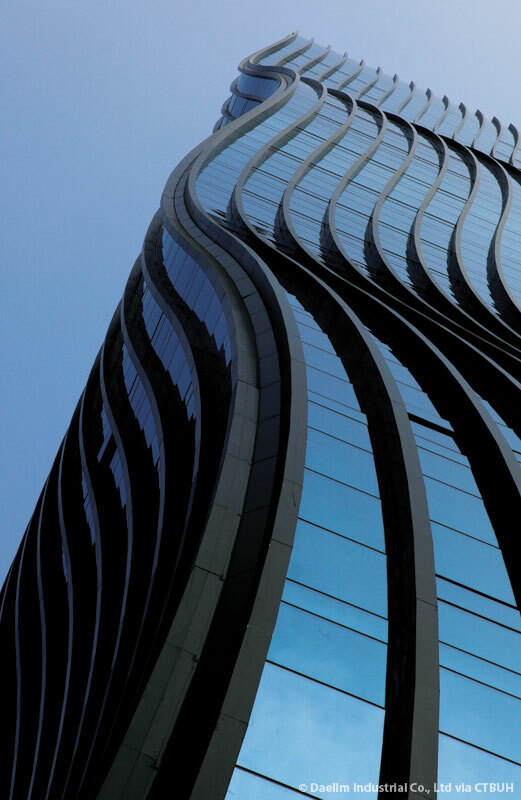 The deep metal fins integrated into the curtain wall further accentuate the fluid movement of the tower and also serve to further contrast the building against the rectilinear all-glass façades of its neighbors. 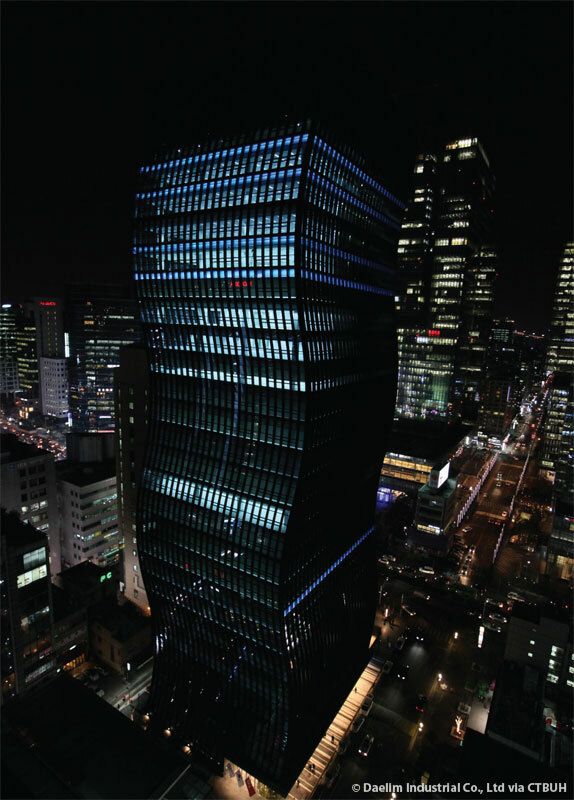 At night, the entire glass façade is illuminated by thousands of LED lights which change in color and create various patterns across the façade to animate the building and add a further layer to the building’s unique form. 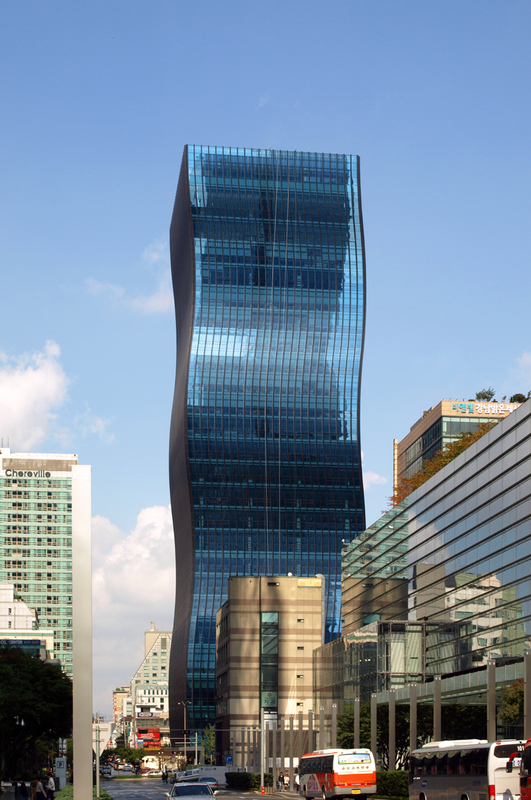 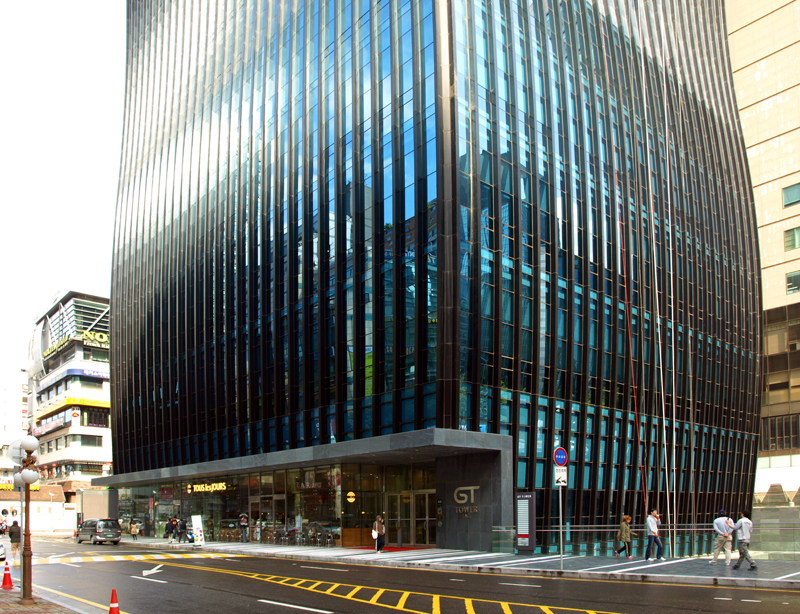 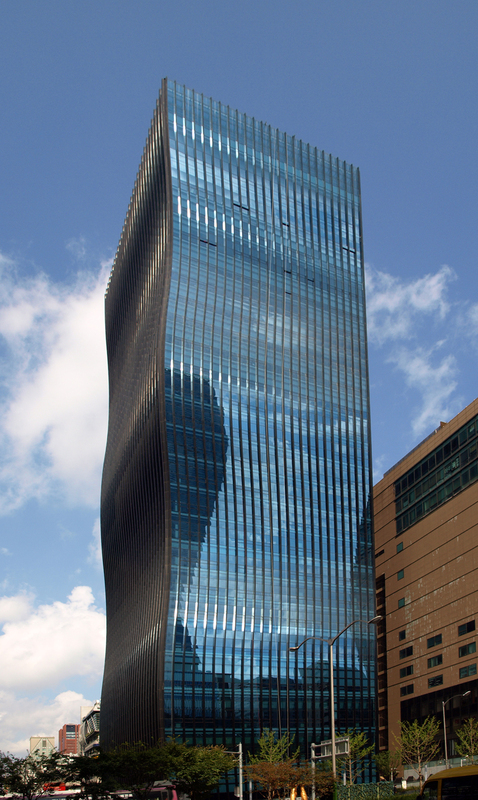 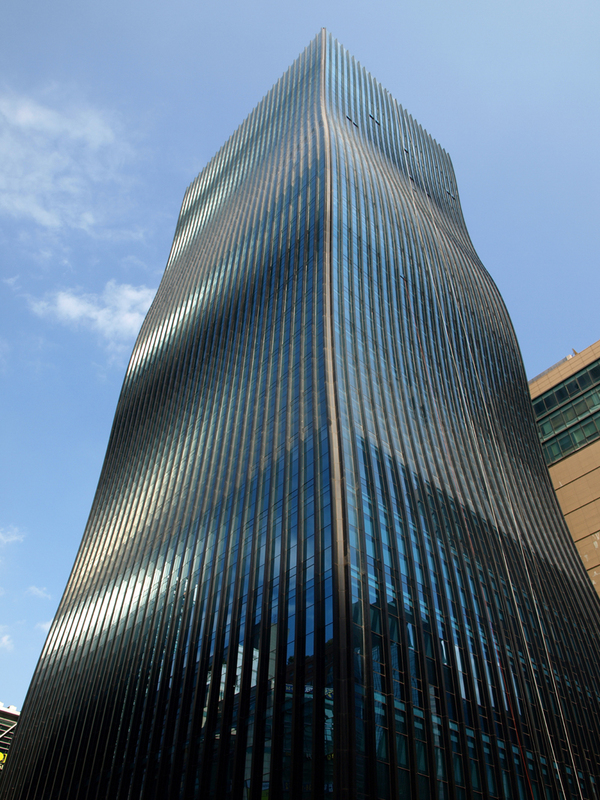 GT Tower employs solar cells and the offices can be naturally ventilated. 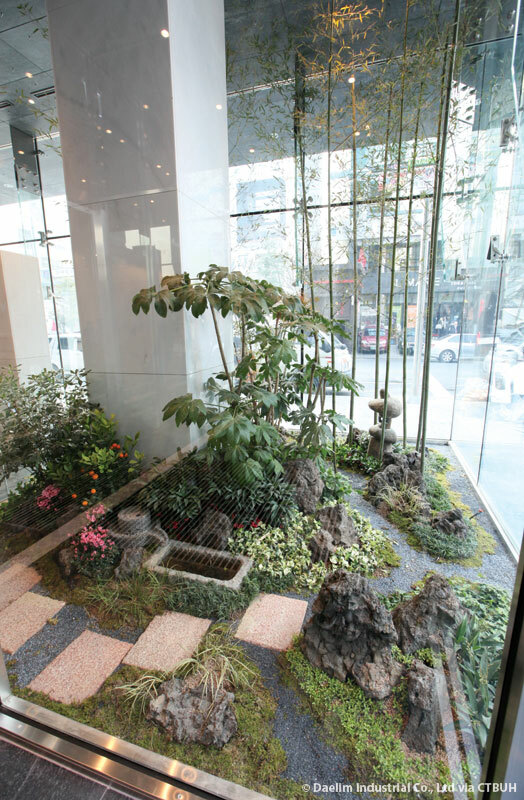 In addition, a special “greening plan” was conceived which includes a landscaped ground level and a flowering rooftop garden.